National Amusements, Inc. (NAI) has officially proposed an all-stock merger of CBS and Viacom, touting, of course, potential “synergies.” The Thursday letter, outlining the strong suggestion and signed by Sumner and Shari Redstone, is posted in its entirety below. The request is not an unexpected one — click here for all the details we knew on Wednesday, when Reuters first reported that this was coming. Today’s letter makes it clear that the Redstones aren’t interested in considering any third-party acquisitions for the struggling Viacom, which includes Paramount Pictures under its own umbrella. The Redstone-controlled NAI, directly and through subsidiaries, owns approximately 80 percent of the voting shares of both publicly traded corporations, and about 10 percent of Viacom’s total common stock outstanding. CBS and Viacom used to be one company until a 2005 spinoff. 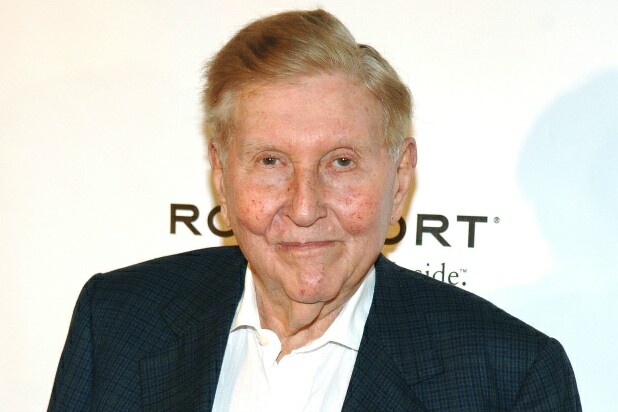 Does Tom Dooley’s Departure Open the Door for a Viacom-CBS Merger?